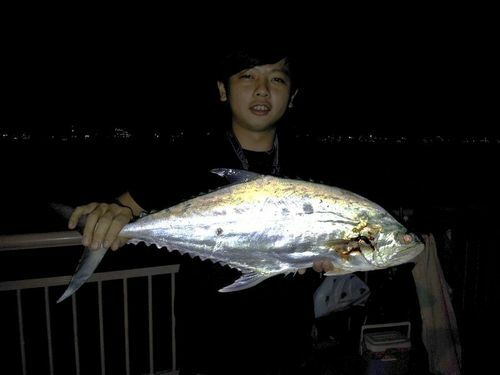 Leong got his first queen fish in the night at the jetty. This 2kg plus fish took his tamban bait and causing his Daiwa Sealine lever drag reel to screech. I alert him and he strike. The fish swim inward and he easily surface it. I gaff it up.